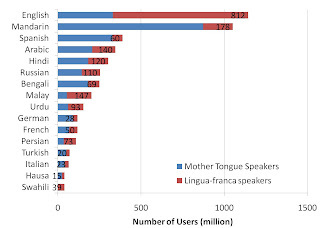 Lingua franca is a language systematically used to communicate between persons who do not share a mother tongue. 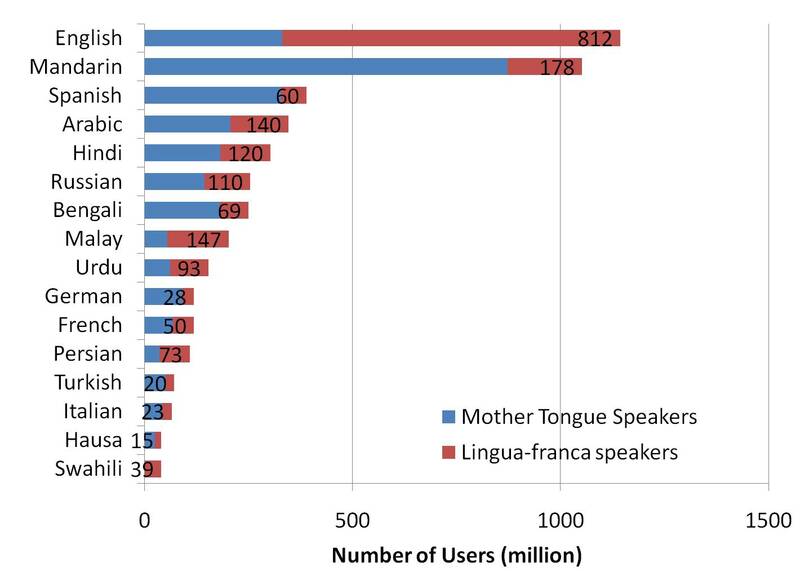 Lingua franca is different from mother tongue. You can judge whether the language is lingua franca or mother tongue when you see if the language has dialects. If it does, the language is no longer lingua franca but mother tongue. For example, English in Singapore (often called Singlish) is not lingua franca. There have been three factors that make a language the lingua franca: empire building, commercial enterprises and missionary religions. Those three are intertwined, and it is difficult to specify the exact reasons why a language became the common tongue. You can see the history of Persia language for example. Under the Persian empire, somehow the lingua franca was Aramaic mainly due to religious reason. Even under the empire of Alexander the Great where official language was Greek, the mother tongue of Macedonia, Aramaic was still broadly used. It is when the influence of Turkish rose, far after the death of Alexander, did Persia finally become lingua franca. The additional factor of lingua franca is incentive of both users (seeking for convenience) and governors. Users like to use convenient language, e.g., English became lingua franca because it was convenient for merchants to use English when British enterprises were dominant in the world. On the other hand, governors like to use difficult language, so that people don’t understand what the governors do. 1. Ruin: Like the ancient civilization, it’s lost gradually and naturally. As time passes, people gradually accept the lingua franca as mother tongue. English may be following this way. 2. Relegation: In this case, the lingua franca is ordered to be exiled. It often happens after the empire formulation. The change is political and clear-cut. Aramaic experienced this transition under the Alexander the Great. 3. Resignation: The lingua franca gives up a position mainly because of the social change. Germany after WWII experienced the resignation. Before then, most of the scientific articles are written in Germany, but after WWII the influence of German declined and Germany suddenly lost its position. Latin followed the same changes too; after the decline of religion’s status in the society and after the diminishing influence of religious elites who spoke Latin, the sphere of Latin significantly narrowed down. Some countries try to make their mother tongue lingua franca for political purpose. They establish foundations which provide means to learn the language. However, no evidence currently suggests that learning a language leads to the patriotism toward the nation. From linguistic perspective, current status of English is unprecedented. In 20th century it was a political tongue, but in 21st century it is an apolitical language; people use it since it’s convenient. 60% to 70% of academic papers are written in English. Even in BRICs countries, rising power of the world, people are learning English too and seem not to make their mother tongues lingua franca. Will English be lingua franca forever? It may resign its position as lingua franca due to progress in the information technology. Machine translation is enhancing its accuracy. In the future people may learn their mother tongue only and use the translation machine to communicate with foreigners. However, given the sluggish progress of machine translation, it would take a century to make the machine translation effectively useful. You don't mention Esperanto as an existing lingua franca. Esperanto has very few native speakers and has no dialects. Esperanto hasn't yet gained the recognition it deserves. However, all things considered, it has actually done amazingly well. In just over 120 years, it has managed to grow from a drawing-board project with just one speaker in one country to a complete and living natural language with around 2,000,000 speakers in over 120 countries and a rich literature and cosmopolitan culture, with little or no official backing and even bouts of persecution. It hasn't taken the world by storm - yet - but it's slowly but surely moving in that direction, with the Internet giving it a significant boost in recent years. I agree with the comment about Esperanto. I'm surprised there is not more mention of Esperanto as a modern lingua franca.